If your DragonFly machine can do it, it will now run an accelerated console by default. 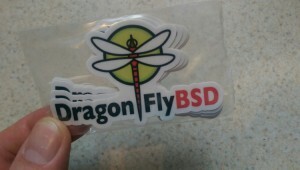 A DragonFly machine with a lot of network traffic will have a significant amount of memory consumed by all the running network connections. (as with any system) It’s now possible to adjust the amount of memory set aside for those operations, live. This sort of fine-tuning will only matter if you run an extremely busy machine, but it’s worth it if you do. John Marino has been updating locale support in DragonFly. There’s no single explanatory commit to point at, so I’ll instead link to the many, many commits and changes he’s been making to show the size of the work. If you are anywhere other than UTF-8 (or maybe even then), this will help you. Francois Tigeot has a new i915 video branch for testing, if you are running DragonFly-current. It will be especially useful for people on a Broadwell chipset. ACPICA was updated to Intel’s newest version: 20150717. GCC in DragonFly was updated to the 5.2 release. DragonFly DRM (that’s Direct Rendering) now supports ValleyView chipsets. hostapd, for creating a wireless access point, has been included in DragonFly along with wpa_supplicant, for a long time. Like wpa_supplicant, there’s a version in dports that is the latest version and is easier to update (e.g. no system update required to get a newer version.) Unlike wpa_supplicant, there’s no chicken-and-egg installation problem if it’s not in the base system – so out it goes. If you’ve previously tried to install DragonFly using a USB thumb drive, and it would somehow not be found to boot from, there’s a potential fix. DragonFly ships with wpa_supplicant, for setting up WiFi. However, there’s no guarantee it’s the latest version. A solution exists: security/wpa_supplicant in dports. However, this has a chicken-and-egg problem, where you need wpa_supplicant to get online and download the dports version of wpa_supplicant. So, DragonFly still includes wpa_supplicant in the base system, but you should upgrade to the dports version when possible. DragonFly now has the same math library (libm) as OpenBSD, replacing an earlier combined version of I think what NetBSD and FreeBSD ran. This doesn’t necessarily directly affect you, but it’s work worth doing; matching the underlying frameworks between BSDs helps everyone. Short list this week – no particular reason. Amiga Reloaded – A new Amiga motherboard using original MOS/CSG chips. Caves of Qud, a roguelike that even simulates greenscreen. And here’s 700 more roguelikes in a torrent. The story behind the world’s most ‘Elite’ computer escape key. A lot of variety this week. tame(2) WIP, process sandboxing for OpenBSD. Is there a BSD that fits my needs? c2k15 reports on Undeadly: one, two, three, four. Here is a non-BSD containers explanation, and then here’s Docker on FreeBSD. FreeBSD now has a Code of Conduct. Backgammon bug from at least 4.1a BSD, 3+ decades ago. The 99th episode of BSDNow is about Gnome on FreeBSD, with interviews of Baptiste Daroussin and Ryan Lortie, plus more news that I was already planning to link to. Sepherosa Ziehau has been doing a lot of work with various processors states to save power on DragonFly. He’s published a summary of how well the various P-state/C-state/mwait settings work. He found that setting a lower C-state can perversely improve performance. Do you have a ValleyView GPU? It now works much better in DragonFly, and there’s a new accelerated rendering branch to try out, too, if you follow that link. Hey, my stickers arrived! You can order your own. No theme, though I’ve been thinking about IPv6 lately. Mostly in a “oh man all that PLC equipment at work can barely do IPv4 this won’t be easy” sort of way. Related: ARIN is down to just /24s for allocation. Your unrelated comics link of the week: The Dr. Fun comic archives. Michael W. Lucas is having an “open dinner” tomorrow, in Scottsdale, AZ. That means you get to talk about his tech books and BSD and conventions and whatever else enters collectively enters everyone’s heads, I assume, over dinner. (you buy your own food; the talking’s free) It sounds like a potential little mini-convention; you should go. BSDNow 098 is up with the normal collection of news and links, plus an interview with David Meyer of Xinous – which I infer is using FreeBSD to underpin their main project. I always find the decision/planning around major commercial open source interesting, cause the open source aspect changes the game, so to speak. I don’t have actual numbers, but I do have a note: DragonFly network performance is pretty darn good.